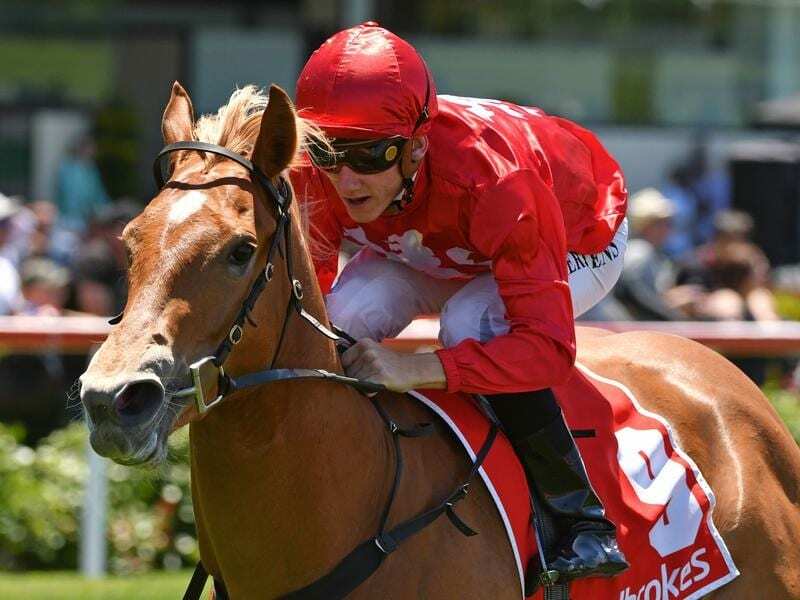 Impressive debut winner Brooklyn Hustle has been installed favourite in the TAB’s market for the Group One Blue Diamond Stakes for two-year-olds. The Jason Warren-trained filly made a big impression when she overcame a slow start at Moonee Valley on December 1 in a 1000m race to draw clear of her rivals and beat Yes Yes Yes by two lengths. Brooklyn Hustle was posted at $6 on Monday in the TAB fixed odds market for the $1.5 million Blue Diamond (1200m) at Caulfield on February 23. Golden Slipper favourite Tassort is on the second line at $8 but the James Cummings-trained colt is listed as doubtful for the Melbourne race. Tassort’s stablemate Athiri is one of four horses on the third line at $11, the others being Magic Millions winner Exhilarates, who is unlikely, the Darren Weir-trained Yes Yes Yes and the Peter and Paul Snowden-trained Catch Me. Yes Yes Yes was the one-time favourite for Saturday’s Magic Millions Classic but was scratched on race eve after an arduous float trip from Melbourne. Catch Me was an impressive winner of the Group Three Gimcrack Stakes at Randwick in late September in her only race appearance. Peter Snowden won the Blue Diamond twice with Sepoy (2011) and Earthquake (2014) when head trainer for Darley in Australia while the Snowden training partnership won with Pride Of Dubai in 2015. The Blue Diamond series kicks off with the Listed Blue Diamond Preview for colts and geldings and the Group Three Blue Diamond Preview for fillies at Caulfield on January 26. The Group Two Prelude for fillies and Group Three Prelude for colts and geldings is on February 9, two weeks before the Blue Diamond.